Do You Love Gilmore Girls?? You Can't Miss This! Home Free Stuff Love Gilmore Girls? Then You are Going To FLIP OUT Over This!! Oh man, Gilmore Girls fans! Things are really getting exciting now! As you undoubtedly know, the 4 part mini movie series Gilmore Girls: A Year In The Life will debut on Netflix the day after Thanksgiving (aka Friday, November 25). Netflix is trying to help everyone get hyped up (as if GG fans need the hyping) by posting still images from the revival, sharing cast interviews, and now by giving away FREE coffee! Yes GG fans, you read that correctly! 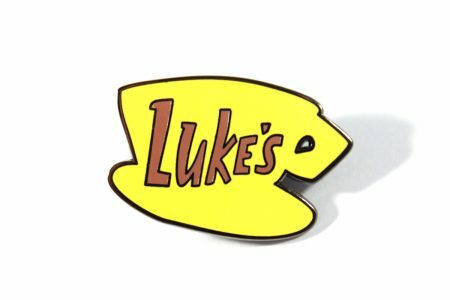 Various locations throughout the United States and Canada will have Lukes Diner facades for one day. There, you will be able to get FREE coffee Lukes diner for just that one day only! This Wednesday (October 5) from 7:00 AM until 12:00 PM, you can get FREE Netflix sponsored coffee. Nope, this is not a dream! However, depending where you live, you may have some difficulty finding a coffee shop near you that is participating in this super special event. Oye with the poodles already! Check out the list on this website to find the closest participating coffee shop near you. No purchase is necessary to get your FREE Luke’s coffee. Now the burning question is, is Luke’s coffee really as good as Lorelai and Rory make it out to be? ?